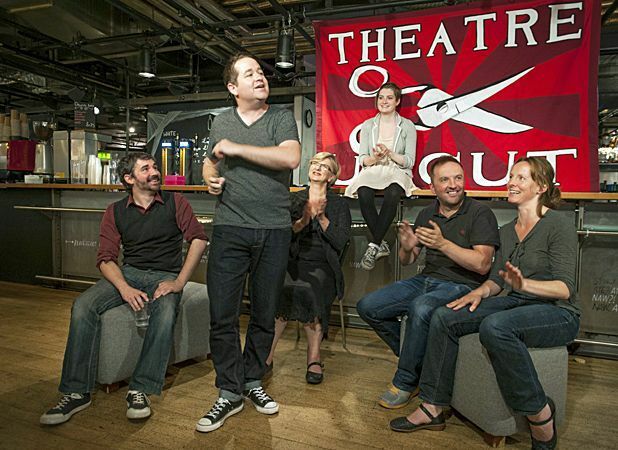 The resurgence of political theatre has been galvanised in Scotland by the referendum: Theatre Uncut arrived a little earlier, in response to government cuts in public spending. After providing plays for free performance, 2014 is the first year that the Uncut company are touring their latest round of new scripts, directed by founder Hannah Price. Five of the country's leading writers – Inua Ellams, Vivienne Franzmann, Hayley Squires, Clara Brennan and Anders Lustgarten – will write responding to news events as they occur, under the theme of 'Knowledge Is Power, Power Is Knowledge'. A flagship set of productions will tour, although local companies are invited to make their own versions. Each writer has a fantastic track record, with socio-political themes running through their work: Inua Ellams, who is part of London-based Fuel Theatre, focused on the aspirations of different generations of black working-class men in Peckham in recent Play, Pie and A Pint hit Fast Cuts and Snapshots and Clara Brennan's Spine, an Edinburgh Festival hit, posited questions about the absence of community in big cities and the vilification of youth. With Uncut both on the road and open to community, political theatre is placed at the heart of the communities again. Traverse Theatre, Edinburgh, Thu 13–Sat 15 Nov; Òran Mór, Glasgow, Mon 17–Sat 22 Nov.
Programme of short political plays.